2017 Krüger Masterclass registration is now open! Come join us for the 2017 Krüger Masterclass in Germany! The main focus will once again be preparation for portrait painting and working with acrylics! Paint along side Sebastian as he creates one of his world famous masterpieces! From blank canvas all the way through to the final details. 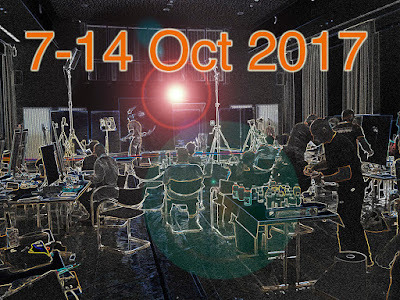 The 2017 workshop will take place over 7 days from October 7–14 at the Sporthotel Fuchsbachtal in Barsinhausen, Germany (close to Hannover). The workshop is limited to 26 participants and deadline for registration is April 30, 2017.